We caught up with Aaron Lapierre (Vice President of Client Cervices at DoubleDutch) who kindly gave us a rundown of DoubleDutch's high-touch Customer Success process. This has seen such success that, despite extra limitations through their extremely finite usage period, DoubleDutch has secured over $78m in funding since its founding in 2011 and currently serves over 1,000 customers. This checklist will guide you through their highly effective customer success method, which you can then apply to your own SaaS company. After all, in the words of Lincoln Murphy, "No Customer Success = No Your Success". As the customer success team is brought in immediately post-sale, the first major objective is to touch base with the customer and discuss key information with them. To that end, some preparation is needed. Aaron told us that they first consider and prepare what they need to discuss during the primary kick-off call, such as rough details on the experience and timeline during their time with the company. These details can be recorded using the form fields below. The call doesn't serve as the entire basis for requirements gathering and so some features such as specific files and headshots do not need to be brought up yet. The Customer Success manager then carries out the primary kick-off call with the customer. One of the main aims of this call is to get a feel for the size and location of the event, along with other required logistical information. More importantly, however, the kick-off call serves as the first point of contact between the Success team and the customer. You can jot down your notes from the call using the form field below. This is one of the most important stages in the Customer Success process, as it's "an opportunity to set the tone for the relationship you’ll have with your customer – to manage their expectations and start building customer loyalty". Wise words from Lincoln Murphy indeed. Data from the call is then used to start formulating recommendations to further the customer's success. For example, if the customer has expressed the need for their event to contain a live poll, a suitable training article or webinar will need to be referred to them later on. Record these recommendations in the form field below. Any specific needs the customer has should also be translated into a format that the app production team can later use to customize the event. After data from the kick-off call is processed, Aaron walked us through the initial follow-up. The structure of this depends on the level of event being carried out by the customer, as (naturally) customers with a higher event value need to be given extra communication to ensure their success. At the basic level, the follow-up will be either a call or email including the final timeline of the creation of their app and the initial set of requirements. For example, the customer will be asked to submit hard deliverables such as a splash-screen, or headshots of any speakers ready for DoubleDutch to put into their event app. Meanwhile, if the event is on the enterprise level, several extra calls may be made to ensure all details are stamped out pre-production and that the customer is fully at ease with the production of the app. Recorded webinars - the bread and butter of the training scheme. 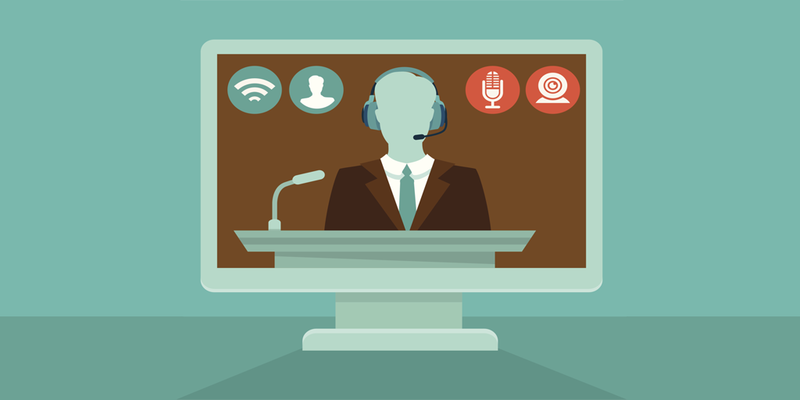 Generic recorded webinars teach the customer almost everything that they need to know about using the product. Live webinars - explaining the topic while giving the customer the chance to ask any questions as you go along. However Aaron did report that the majority of questions asked during live webinars were not very unique, most being answerable by using the other basic training materials or webinars. Live webinars are an attractive option and can still serve a purpose in at least a marketing sense, however the time and resources may be better served to addressing any specific issues with an on-demand attitude. Repeat customers may not need this information, but it is still useful to pass on; doing so potentially answers any queries without having to wait for another strategy call. Along with the webinars, basic training articles are provided to each customer. These teach the customer how to use the basic features of the app, along with how to upload their own materials and information. Once again, repeat customers may not need this. However, even if not required the availability of these resources should not be limited to new customers; the provision (or at least access) of these articles can almost act as a pro-active form of support. Once the customer has sent over the required hard delivarables, such as the icon displayed on the home screen of a phone or tablet, they need to be passed on to the app production team. 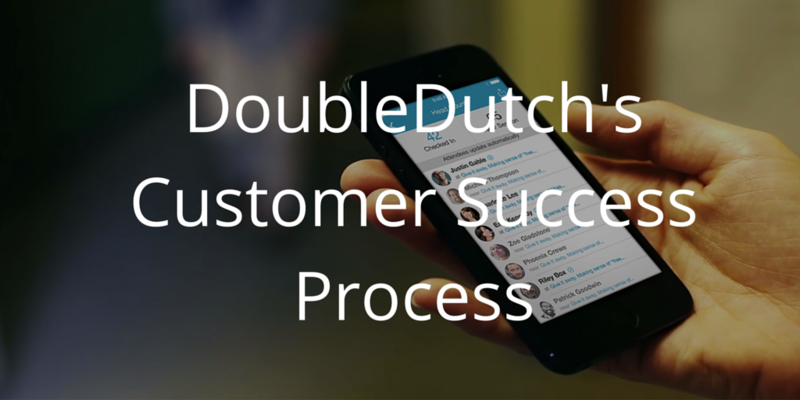 Pending a possible queue, the deliverables and event details are relayed by DoubleDutch's Customer Success team as soon as possible, due to the finite usage period of each of their apps. With the hard deliverables and requirements all transferred, the app production team can then produce the app; this usually takes about a week. Aaron also pointed out that on of the very few KPIs monitored during the whole customer success process is also taken here, being the time the customer has to queue for their app before it is built and submitted. Once the app is built it has to be submitted to the Apple App Store and Google Play Store for approval. This takes slightly longer than the production, as Apple has a review period of two weeks before making an app live. Once the app has been approved, the customer is notified where they can download it. Although incredibly simple the extremely finite usage period of DoubleDutch's event apps once again means that it is vital to contact the customer as soon as humanly possible. Once the customer has the app, they can begin to go into the back-end management and start to populate it. As the customer populates the back-end of the app it makes sense to have a strategy call with them to ensure their success with this stage of the process. This call will mostly focus on discussing what the content should look like, how it gets into the system and answering any questions they might have. The customer has gone through the training process by this point and so should already be fairly well onboarded and up to speed, but the strategy call can help to cement the involvement of the company as a welcoming and helpful guide. Aaron told us that, depending on the size of the event, DoubleDutch may hold several strategy calls to help the customer through the stages of populating the app. 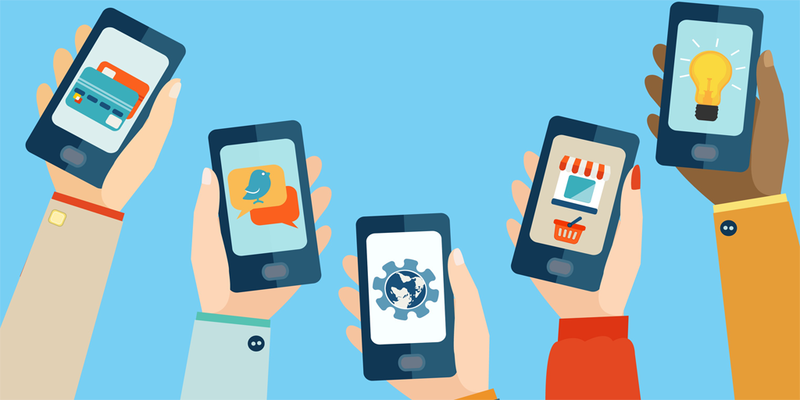 Strategy calls can also be held during the app creation process if more than one call is likely to be required. Repeat customers require fewer strategy calls; for example, if a customer runs weekly events, a bi-weekly strategy call to touch base should suffice once a few events have been successfully completed. This call is largely used to get feedback from the customer and to assess the success of the app relating to the event. 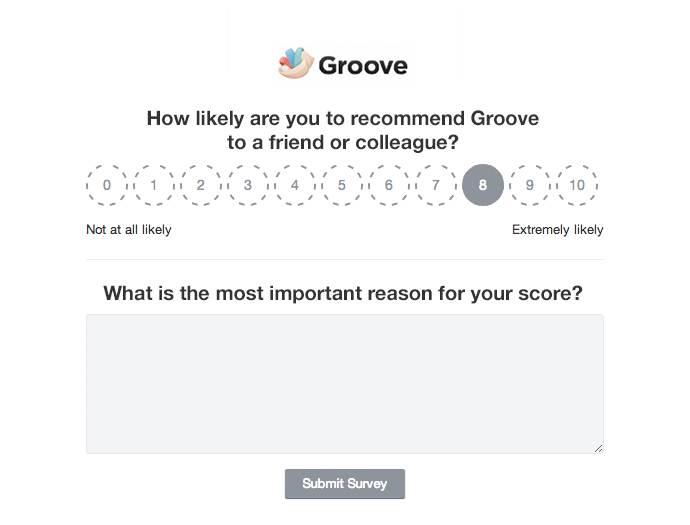 NPS surveys will also be sent to the customer, and so this is more of a chance to enhance their user experience further after the event has taken place. Subjects such as the success of the event, the functionality of the app and any issues with the product are discussed, but once again general NPS statements shoudl be absent. Aaron's final step in the Customer Success process was to send out NPS surveys in order to measure the effectiveness of their Success process and general client onboarding. Was the customer success manager able to derive value through the product? Did they discuss features that were relevant to your program's success? Programs such as Typeform, Survey Monkey, Formstack or Wufoo are invaluable in easily building online forms such as NPS Surveys, with DoubleDutch using Typeform until very recently. As with any SaaS company, the NPS score is then calculated by subtracting the % of Detractors (scores of 1-6) from the % of Promoters (scores of 9-10).